Matt: We know that Pratt spoke the day before and they are in a heated debate, so how does Pratt push back? The minutes of the legislature tell us that that afternoon of February 5th, after Brigham Young has given this very strong speech, there are two bills that are introduced that are just innocuous bills, like who cares? It’s the Cedar City and Fillmore municipal bills where they’re just approving them as legal municipal entities, but within the bills are the voting rights for Fillmore and Cedar City. Who gets to vote in Fillmore and Cedar City? They stipulate that white men over 21 get to vote, and that’s par for the course for the nation in 1852. Pratt votes against both of those bills and the minutes tell us that he does so because they don’t allow black men to vote and I believe that’s his effort at again, pushing back against Brigham Young, so Brigham Young got to have his say in the morning and this is Pratt’s way of responding. I’m going to vote against these two municipal bills to make my point that I believe black men should be allowed to vote in Utah Territory. GT: To me that is absolutely astonishing because this is the year 1852. This is pre-Civil War. GT: I mean how did Pratt fit in with the rest of America as far as a black man should be allowed to vote because I can’t imagine that’s a popular position? Paul: It’s really not. I mean there are a few people who are arguing for this, you know radical abolitionists but like I said this is just a radical minority. To stake out that kind of position, you would be branded as a radical minority, marginalized from the mainstream. It really is kind of a distinct position and for him to be making it in Utah Territory really is quite unique for 1852. Not many are advocating for black suffrage in 1852. When Brigham Young made his speech in 1852 to the Utah Legislature where he declared blacks had no right to the priesthood, and Paul says this was likely a reaction to Pratt’s speech. This is part 5 of a 7 part series with Paul. Check out part 1, as well as our other interviews! 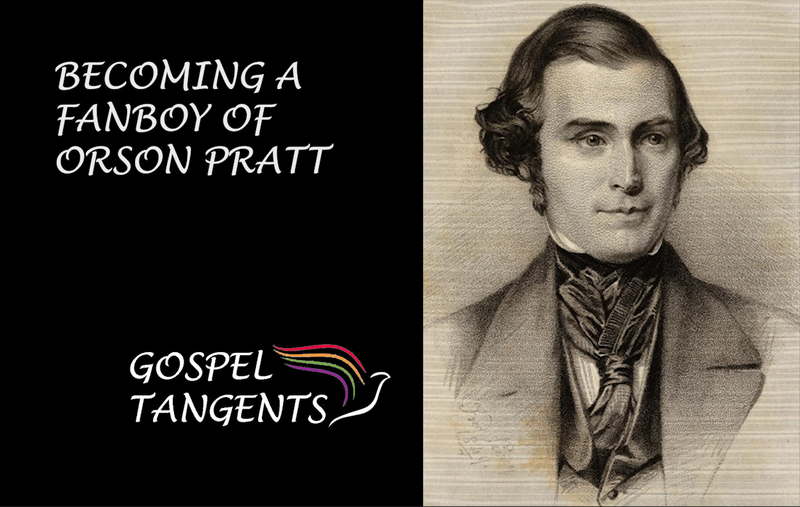 Orson Pratt was against slavery in Utah, and for black voting rights in 1852! Previous post: Bruce R. McConkie Wrote Official Declaration 2!